It’s finally here! If you were at The Big Comedy Gala in aid of Macmillan Cancer Support this year, you’d have seen the gorgeous Yianni deliver his set about thinking big. If you weren’t there (shame on you), here’s the dish. Yianni is an incredible comedian. ‘Stunningly Good’ **** (Scotsman) ‘Sharp social commentary to compare favorably with Woody Allen’ **** (Chortle). ‘The next big thing’ **** (Three Weeks). ‘Wonderfully funny’ **** (Time Out). ‘Exceptionally original … excellent storytelling’ **** (Fringeguru). ‘Everything that a good show should be’ **** (Skinny). ‘Yianni feels like something new and refreshing in a world where so much can be the same’ **** (Gigglebeats). This year he’s been playing the Free Fringe every day leading up to a very special show. It’s in a slightly bigger space. A 1200 seat auditorium to be precise at the EICC. The same space played by Russel Brand, Jimmy Carr, Sarah Millican, Ed Byrne and Jason Manford in the past few years. Today is the day where he sees if his positive reinforcement and blind ambition pays off. Why not be part of it? 6pm at the EICC on Morrison Street, Edinburgh. Tickets are £10 and there are still some left. We can guarantee you that what you will witness is an incredible set. So why not support the little man, and be part of making his day a very special one indeed. 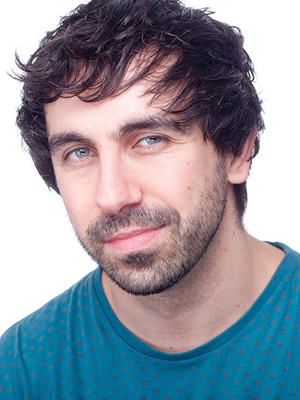 This entry was posted in Comedy, Edfringe, Edinburgh, Edinburgh Festival, Edinburgh Festival Fringe, Latest Big C News, Scotland, Stand-Up, The Big C, Tickets, United Kingdom, Yianni by bigcomedygala. Bookmark the permalink.